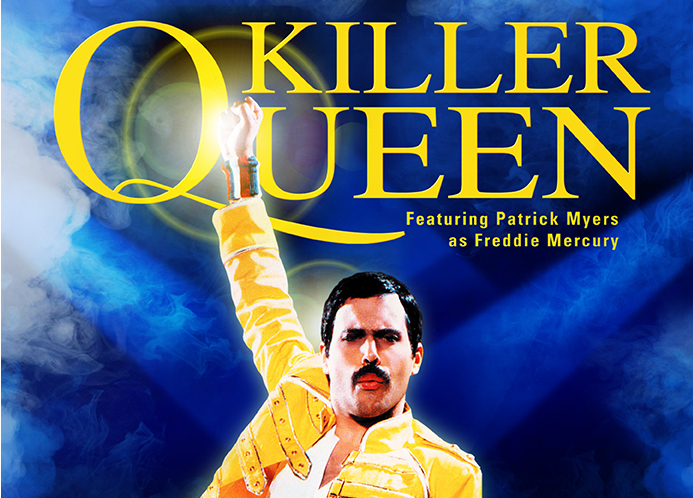 KILLER QUEEN – SD Orpheum Theatre – Sioux Falls, SD – April 24 | Love Productions Inc.
By 1995 Killer Queen’s UK popularity had grown to such an extent they secured a residency in London’s Strand Theatre attracting nationwide BBC coverage – the first tribute to have a show in the West End . 2009 saw a triumphant return to a sold out Ahoy stadium with their acclaimed “Queen Spectacular”production and another award, this time from Sweden’s Vasteras concert hall “Best Concert of TheYear 2009”. 2013 saw them performing in another one of Queen’s former venues, this time theBrighton Centre to celebrate their 20th Anniversary. In 2016 Killer Queen took the show to America including Red Rocks Arena in Colorado – one of the countries most prestigious venues – The Beatles, Springsteen, U2 have all played there. They will be returning there as a part of their 3rd US tour in 2018.